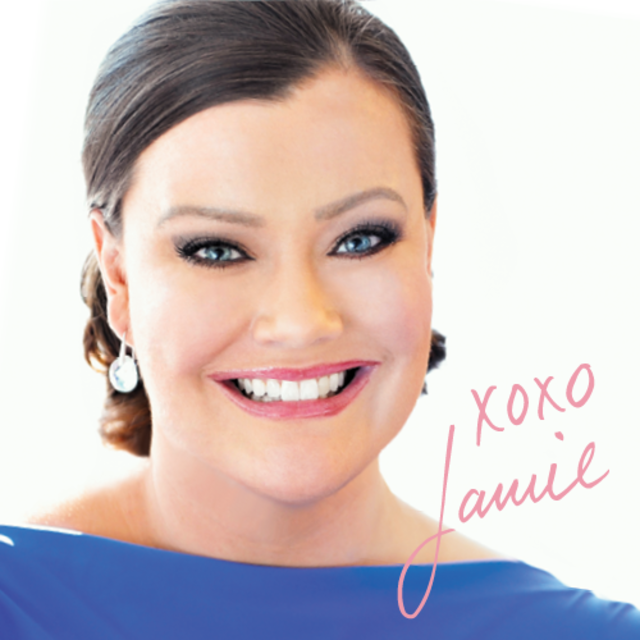 Last weekend Jamie Kern Lima, founder of makeup powerhouse IT Cosmetics, made an appearance at Ulta in River Oaks to discuss the inspiration behind her innovative brand and how she and a team of plastic surgeons and dermatologists created makeup that nourishes your skin. IT bestsellers like the creamy SPF 50 cc cream, under-eye concealer (literally a lifesaver) and the bold, volumizing mascara are quickly become quintessentials in makeup bags across the country. 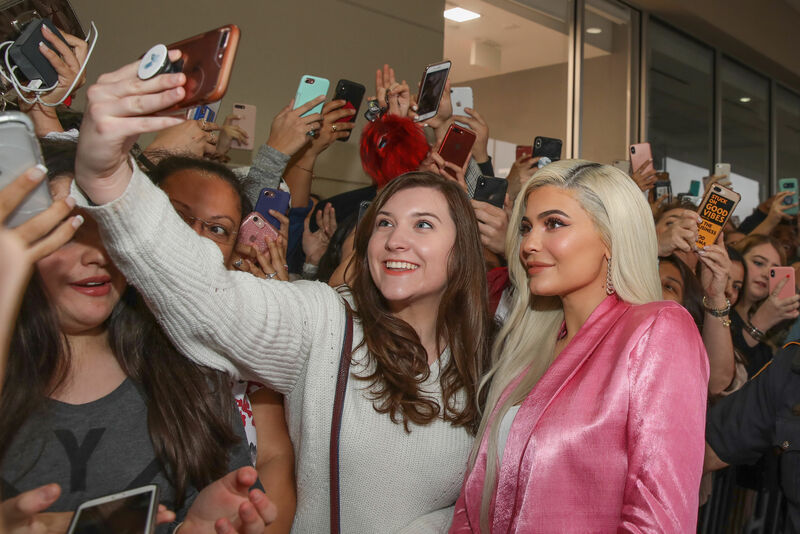 Before Kern’s Houston visit, we spoke with the beautiful entrepreneur about the whole caboodle: skin creams, beauty routines, adult acne, putting yourself first and how to fall in love with your makeup all over again. Houstonia: For those who don’t know your story, what was the catalyst that inspired you to leave the broadcasting world and launch your own makeup powerhouse? Kern Lima: Developing IT Cosmetics with plastic surgeons has literally saved my skin. I always thought I would spend my career as a journalist, and prior to launching IT, I anchored the morning news. I had to get to work at midnight to write and review news stories, then I had to look awake for the morning news. I learned so many makeup secrets that way. But I have rosacea and real issues that I need coverage for and what I learned is that no matter what amount of money I would spend on the very best products out there, they either wouldn’t cover it, or they would be so thick they would crease and crack and make me look ten years older. 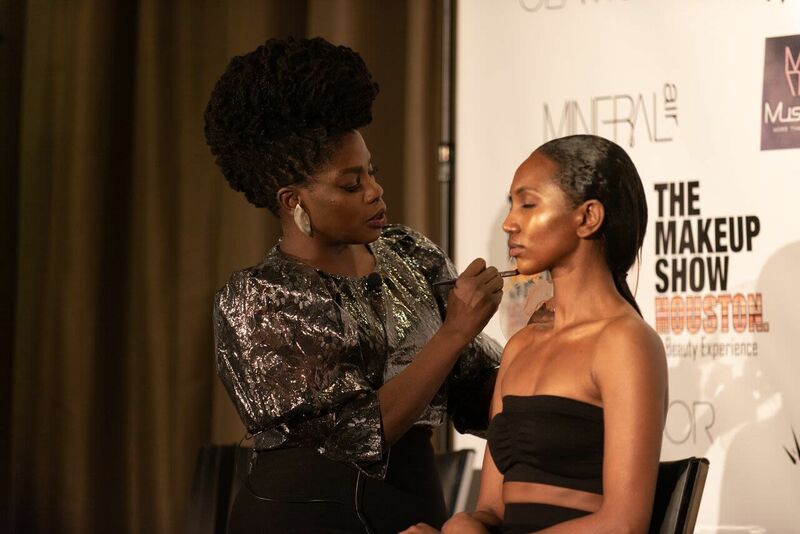 I knew there had to be a better way, so when I launched IT Cosmetics and teamed up with plastic surgeons to create makeup products that are skin-loving. At IT Cosmetics, we believe great makeup can give you great skin and our biggest goal is when you wear IT, no matter if you’re 16 or 96, that you get compliments on your skin, not on your makeup. I’ve always marveled at the makeup products newscasters wear day in and day out. What was your experience with having to get dolled up every day? Did your skin suffer? So many makeup products can actually make your skin worse, especially if you have sensitive skin like I do, and on television you do wear a lot of makeup. On a positive note, I saw such a white space in the market for truly skin-loving makeup that solved problems and not only gave you coverage, but actually improved your skin issue as well. I also learned so many fun makeup tricks. We used to mix blue eyeshadow with clear lip gloss and we would wear it over our lipstick because the blue pigments counteracted yellow in teeth, so it’s a trick to get the illusion of a whiter smile. This news anchor secret is what inspired our IT Cosmetics News Anchor blue lip gloss, it goes on clear but really does brighten your smile. Did you always have an interest in makeup, or was it spurred from your career in broadcasting? I’ve always loved beauty and always loved playing with makeup even as a little girl. Spending my career in beauty now, one thing I’ve realized is for so many women something happens in life where we start focusing on taking care of everyone else. We start to put family and everyone else before ourselves. And when you think about it, for so many women those few minutes they give themselves in the morning getting ready each day are often the only minutes in the day that are about them. I think about this every single day, that if I am blessed enough for IT Cosmetics to be part of her morning, I am not going to take a second of that for granted. One thing I love about IT Cosmetics is it’s designed to actually help your skin, not just cover up imperfections. Was that something you saw in other makeup brand’s marketing and product design? We are very different from any other beauty company. 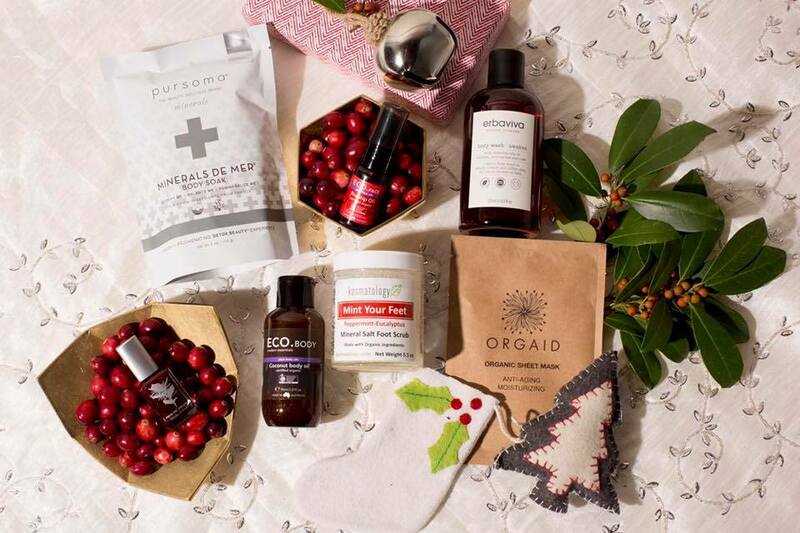 We don’t launch millions of products and colors; we only launch a product when we believe it will solve a beauty issue better than anything else out there. And this difference is how we’ve grown as a company. Our authentic mission at IT Cosmetics is to create game-changing products that when in the hands of real women they become life-changing products. You are open about suffering from rosacea. How did this skin condition affect the way you designed IT? There is no cure for rosacea and I have had it now for more than 15 years. Having it helped me understand that there is really a void in the marketplace for products that cover but look like real skin instead of makeup. And I now believe I got rosacea to become so passionate about devoting my life to creating solutions for women to help them look and feel their most beautiful. I believe in every ounce of my being that every woman is beautiful, whether she has acne, dark spots or great skin she just wants to take care of, and I believe every woman deserves products that help her look and feel her most beautiful. I hate to make you choose, but what is your favorite product from your line and why? 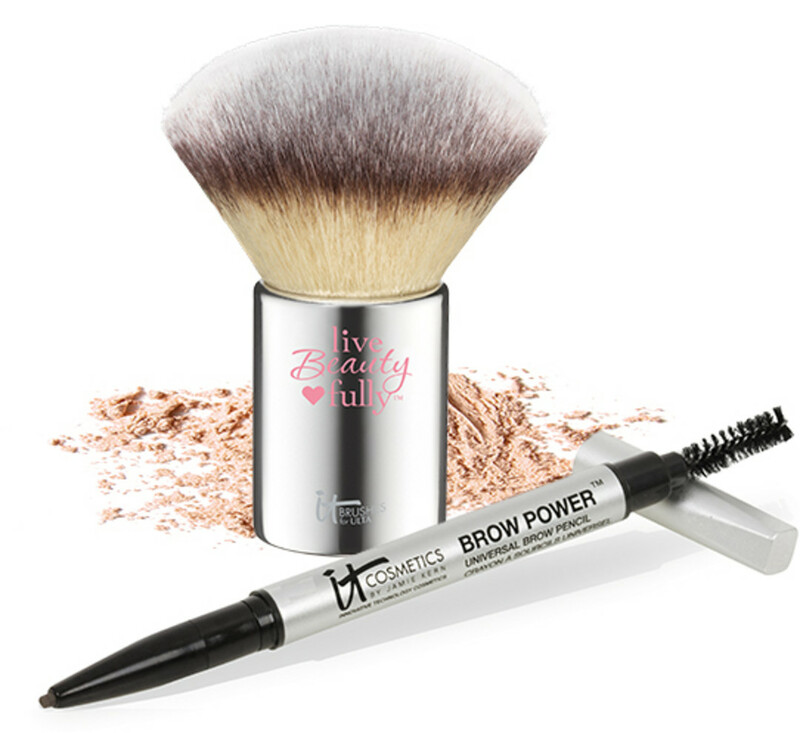 Brow Power® universal eyebrow pencil. It’s the quickest way to have your most beautiful face! I have almost no eyebrows and your eyebrows are so important because they are the frame of symmetry for your face, and symmetry equates to beauty in the human eye. I am so passionate about Brow Power that for every one we sell we donate one to the American Cancer Society’s Look Good, Feel Better program to help women face the effects of cancer with more confidence. To date we’ve donated over $4 million in Brow Power pencils. For those who are interested in trying IT but don’t want to commit to the full collection just yet, what are a handful of products you recommend? We are really known for giving women beautiful skin, so definitely one of our complexion items. CC+ Cream is our number one seller and it’s really life changing because it’s one step that gives you your full skincare routine plus full coverage plus SPF 50+ UVA/UVB physical sunscreen all in one step. Also, Tightline Mascara is truly lash-changing. The brush is so skinny that it gets to the root of your lashes, so it automatically gives you a tightline eyeliner effect plus mascara in one step of applying your mascara. Bye Bye Pores makes your pores look like they’ve disappeared. And Bye Bye Under Eye concealer is probably our most famous product because it covers anything and everything without creasing or making you look older, so if you are new to IT Cosmetics, it’s definitely a must have. I read that you used partner plastic surgeons to formulate your products. I must say I read that a lot about skin products, so could you tell me what input they actually provide? When we launched IT Cosmetics our board of plastic surgeons and dermatologists were instrumental in developing our foundations and CC+ cream to have physical only natural SPF 50 sunscreen. We don’t use any chemical sunscreens at all, which has been completely skin-saving and skin-changing for me and so many of our customers. So many women, including myself, have such sensitivities to chemical sunscreens yet chemical sunscreens are the most common. Now in all the products we make at IT Cosmetics, we develop them with only natural physical SPF. Many of our products actually start their life as skincare, and we infuse color into them. What is your current morning skin/makeup ritual? Right now I go on QVC several times a week, and QVC is live 24 hours a day, so I don’t get a lot of sleep. On a typical QVC day, and this is usually the biggest beauty no-no, I often fall asleep with my makeup on, which is why it’s so life-saving that our products start their lives as skincare. It’s okay to fall asleep in them. But on an ideal day, I love skincare and have been developing and testing some incredible products as we are planning our future skincare innovations at IT Cosmetics. I love using my Clarisonic because it exfoliates but it’s okay for sensitive skin, and then I love intense moisturizers and eye creams. I wish I could share my favorite but they are in final development stages, but I’m excited to share them soon. What would be your top five tips for women who are looking to amp up their beauty routine? Smile, do your brows, learn to contour, use makeup brushes and look in the mirror every day and tell yourself you are beautiful. The CC Cream is IT’s bestseller. It’s amazing how quickly CC Cream has become the new beauty must-have. Why do you think it’s become so prevalent in the makeup world? I think women are beginning to expect more out of their makeup and many CC Creams contain more than one benefit in one step. We created our Your Skin But Better CC Cream to be your only step if you want it to be. It starts its life as skincare and takes the place of seven products in one step including anti-aging serum, moisturizer, dark spot corrector, pore minimizing primer, color corrector, SPF 50 and full coverage all in one step. What's next for you and IT Cosmetics? I think that even though we’ve grown extremely fast as a company, we are still the best kept secret in beauty. So many women are just starting to hear about IT Cosmetics for the first time. We’ve never advertised as a company and we are so blessed to have women all over the country call themselves IT Girls and spread the word about IT Cosmetics. We have grown by real women getting real results with our products and telling everyone they know. My biggest goal is to continue to create game-changing products that become life-changing products for women everywhere. My goal is to remind every woman that she is beautiful and that she deserves to look and feel her most beautiful. This year will be very exciting for IT, as we also plan to launch an infomercial nationwide spreading our belief that great makeup can give you great skin. For more information about Kern's visit to Ulta, see this link.